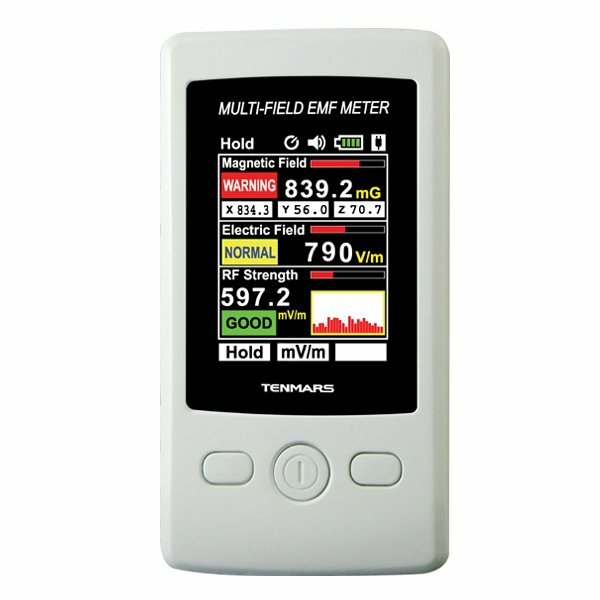 *- 4 digits, 2.4 inches color TFT LCD. *Electromagnetic Field ( 3 - axis ). English; Traditional Chinese; Simplified Chinese; Japanese; Spanish. Remarks: This model can be powered via USB mini-B (5 pin) connection, user’s external power supply (voltage DC 4.8 ~ 5.2V; current ≧ 500mA).